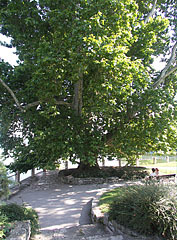 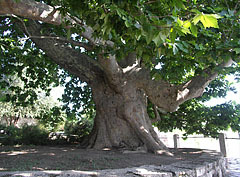 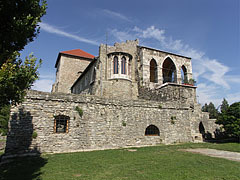 It was developed from the remains of the inner castle in 1815. The school building was built in 1912. 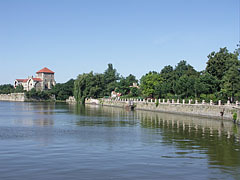 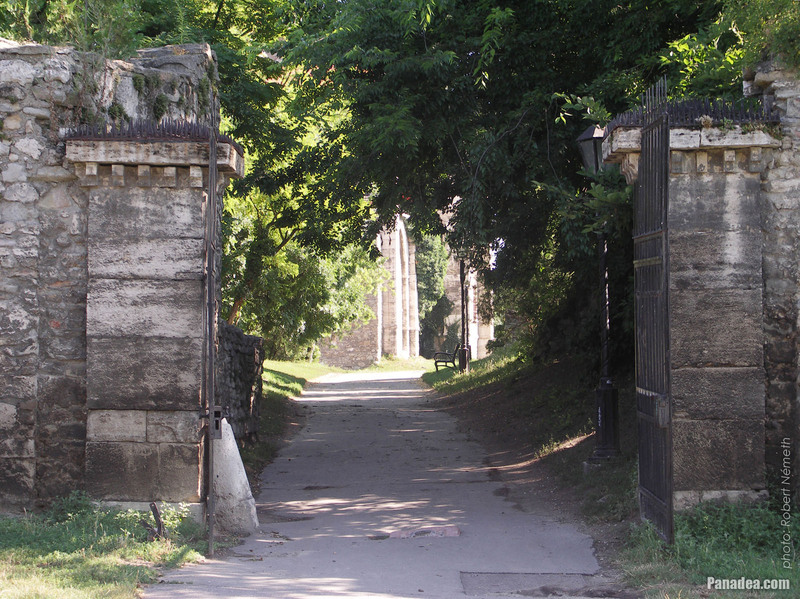 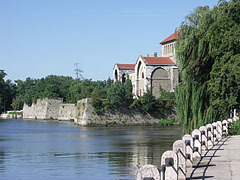 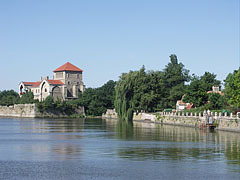 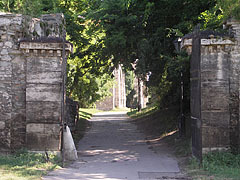 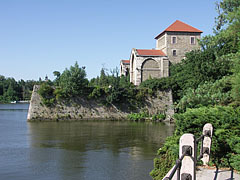 The four-span bridge and the castle gate was built by Jakab Fellner in 1755. 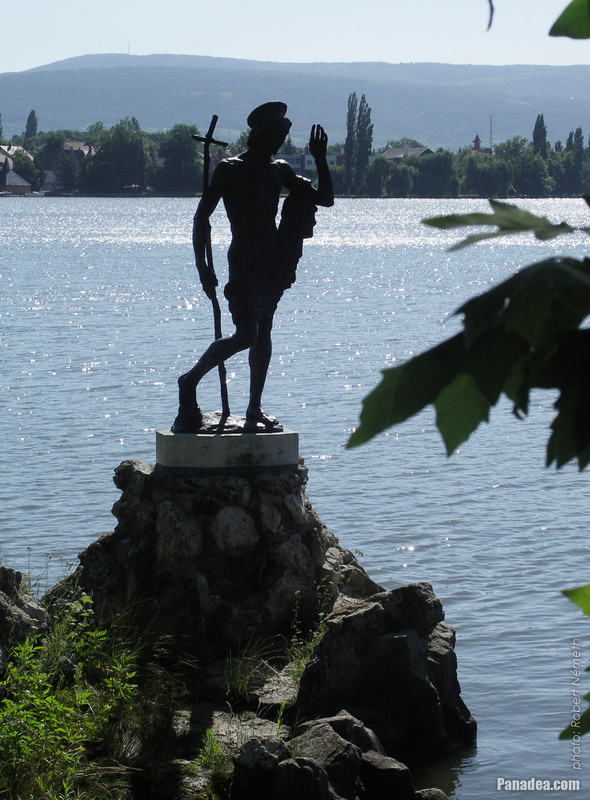 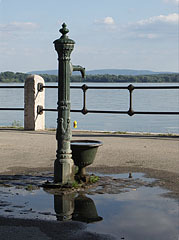 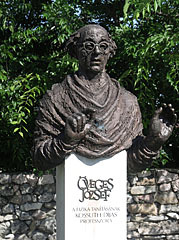 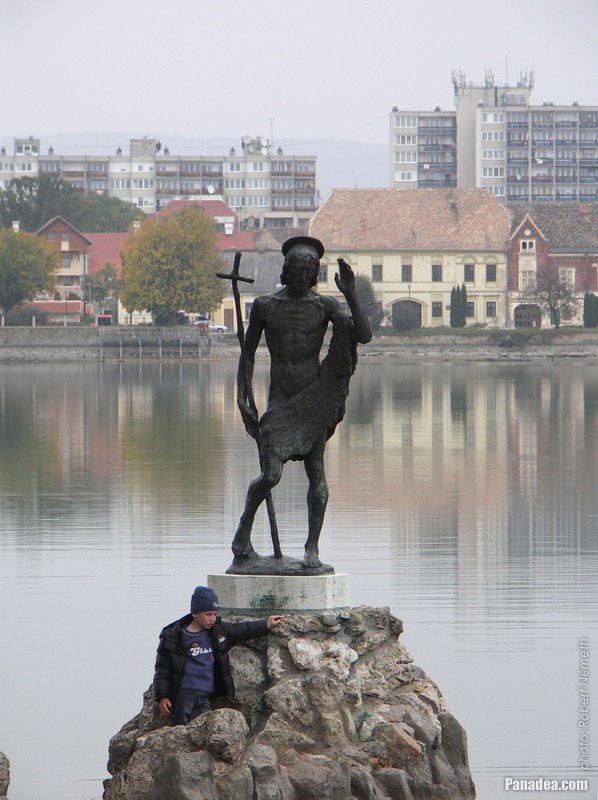 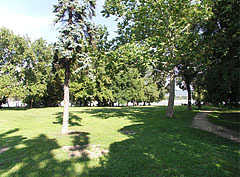 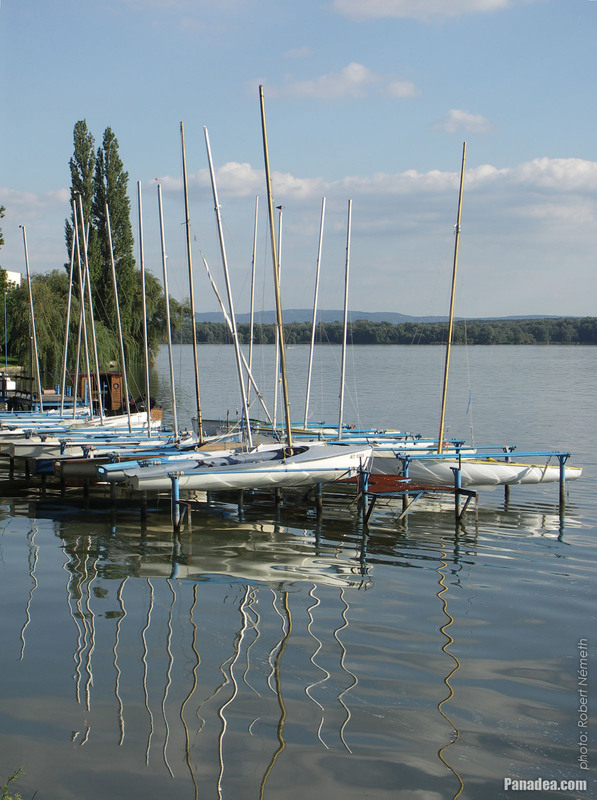 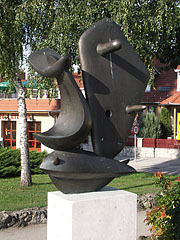 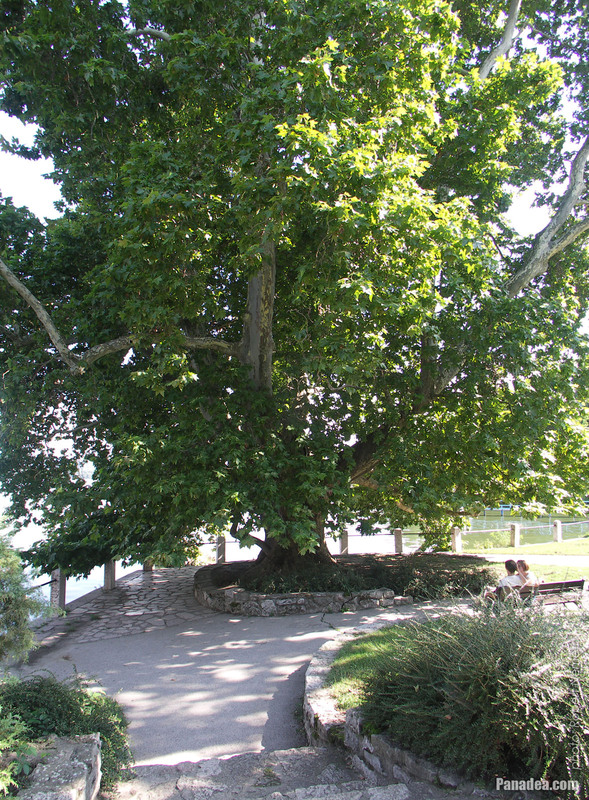 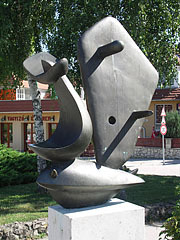 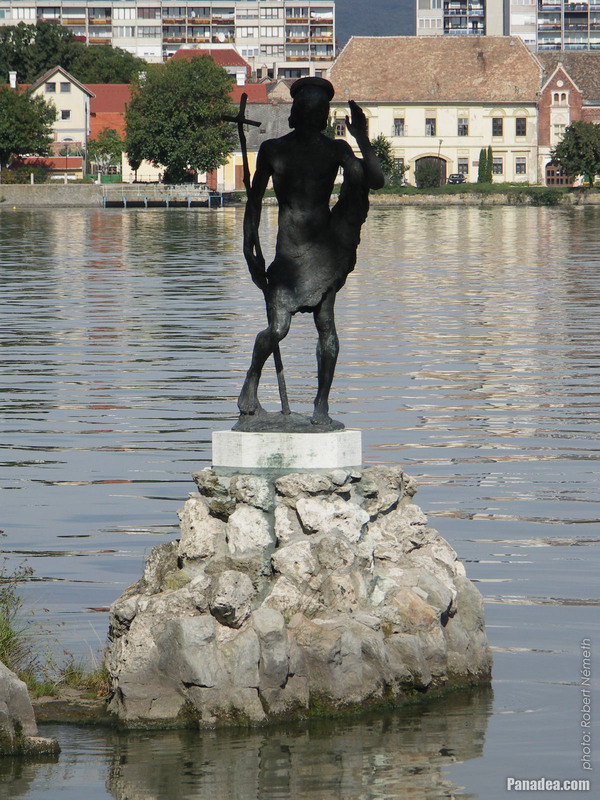 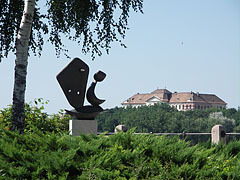 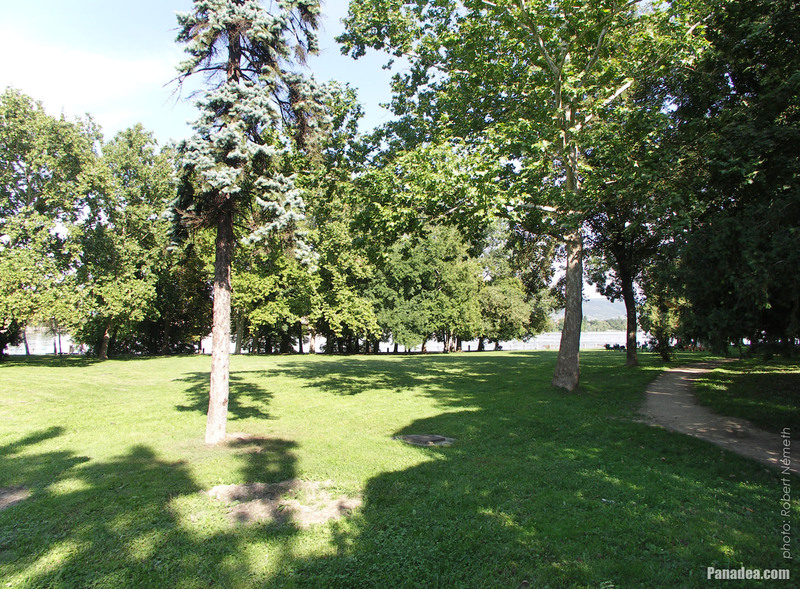 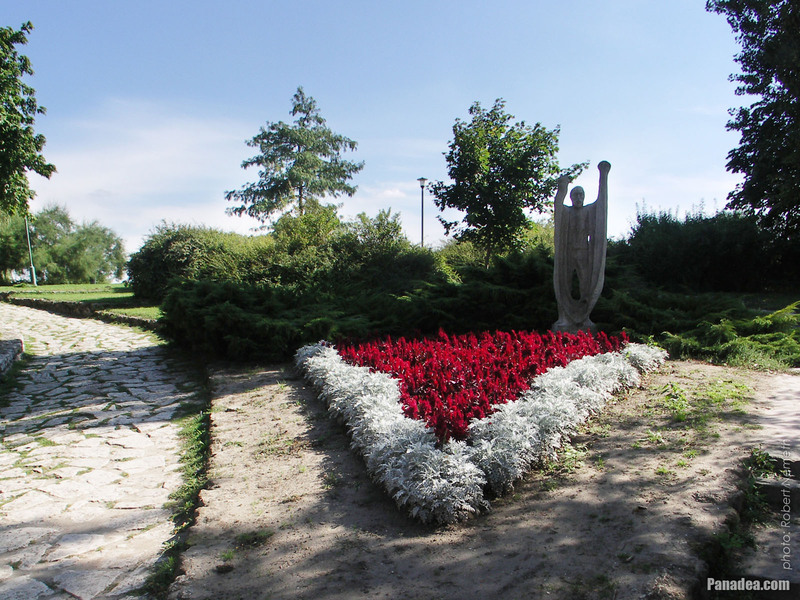 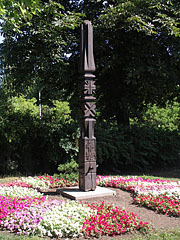 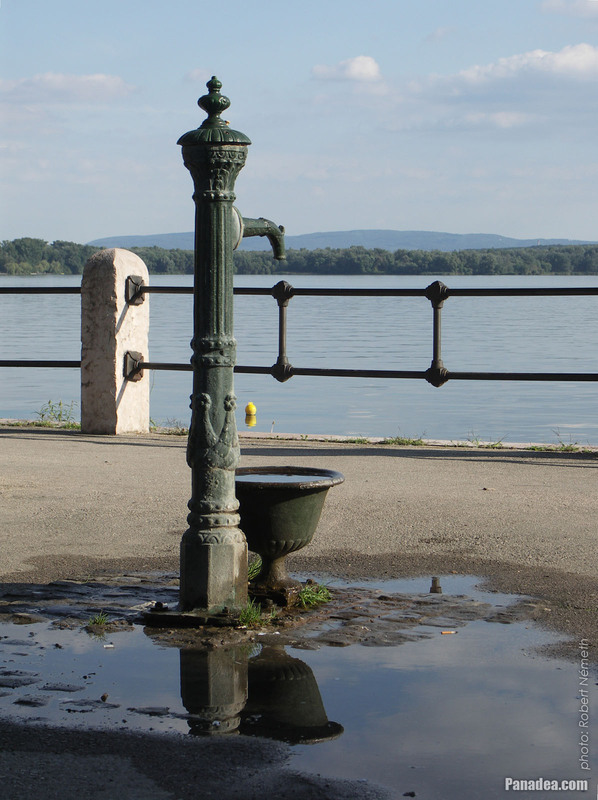 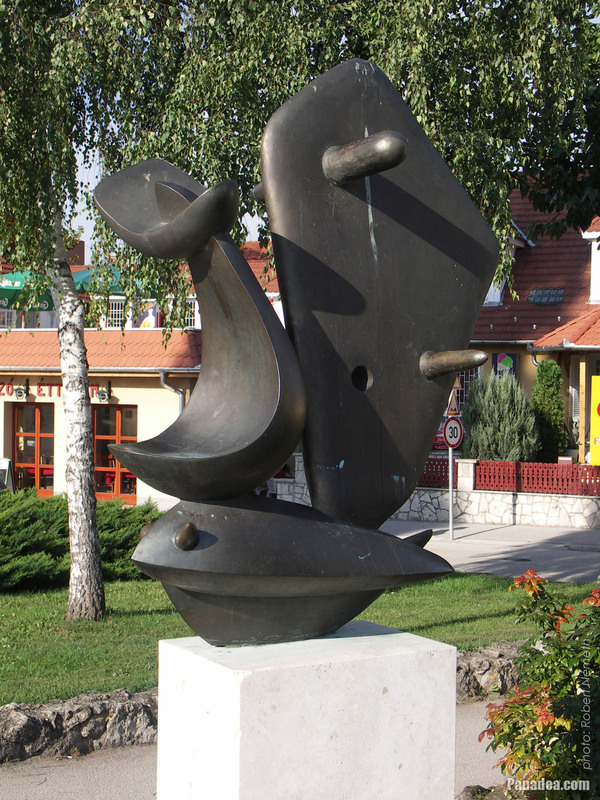 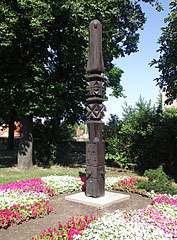 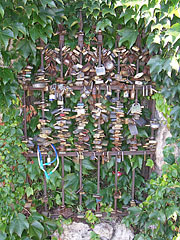 Created by Mária N. Kovács in 1943, stands on its present location since 1989. 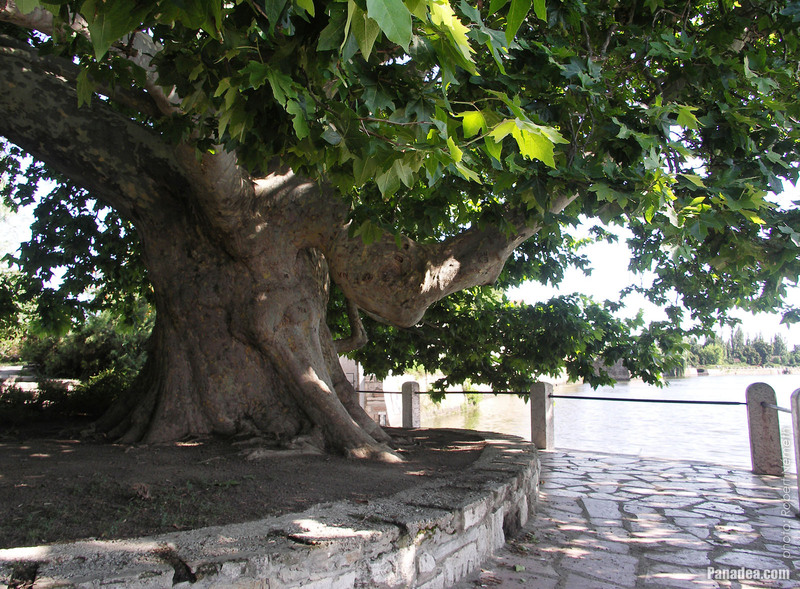 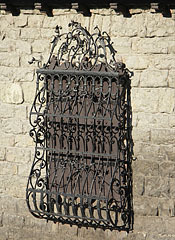 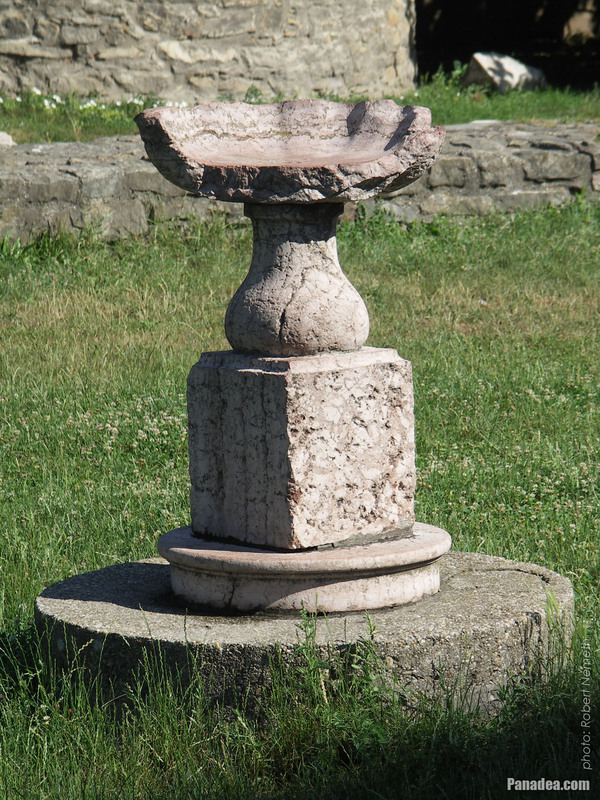 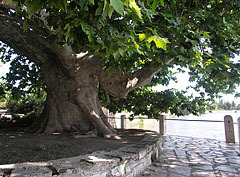 It was placed here maybe together with the nearby "Csurgó" water well in 1999 (the latter is standing on the place of a former fountain). 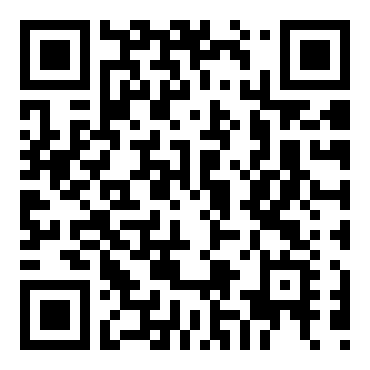 Created by Ferenc Friedrich in 1996, based on the work of Ferenc Martyn and in memory of the Breton fishermen. 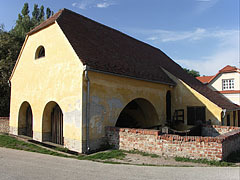 This former tannery or leather factory was built around 1770, and it was extended with the red brick upper floor in the late 19th century. 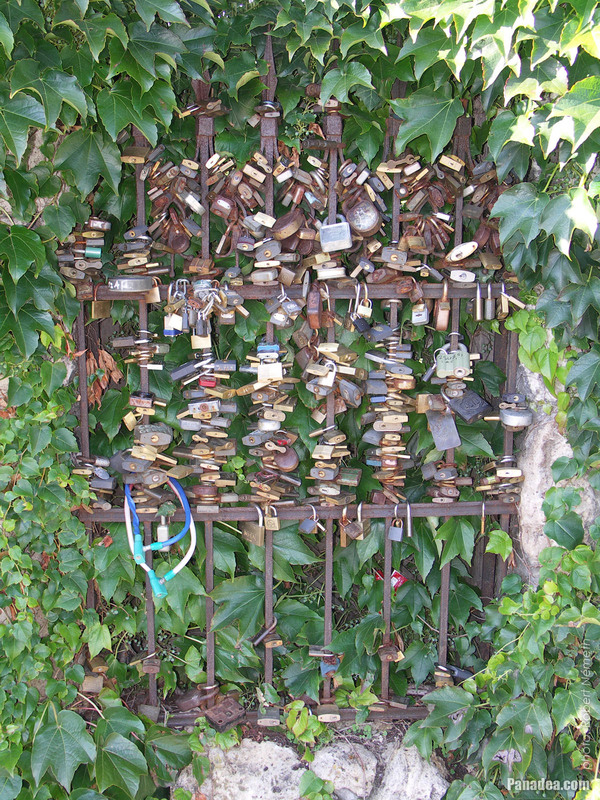 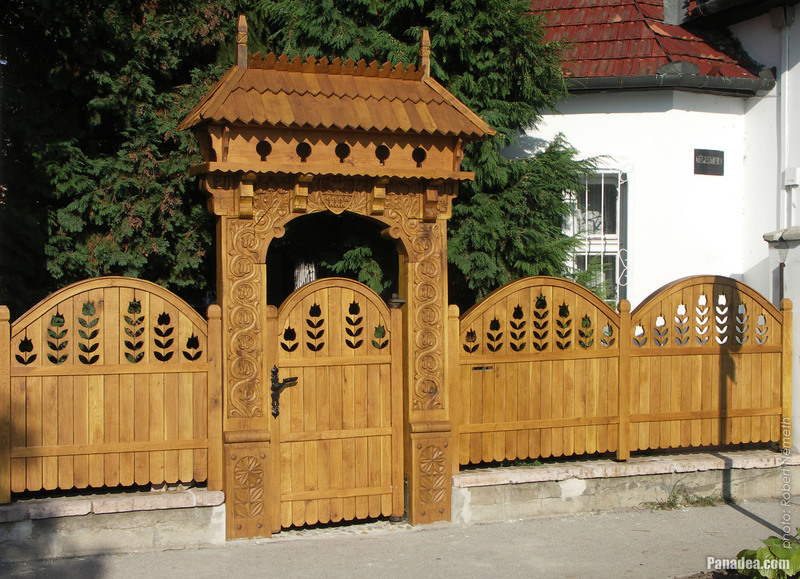 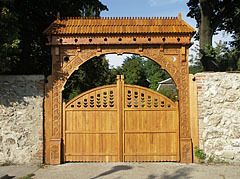 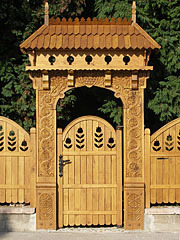 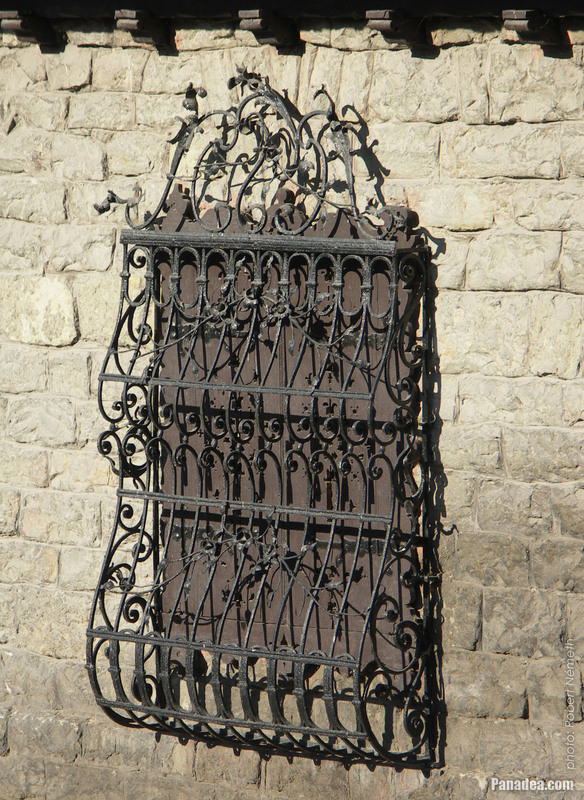 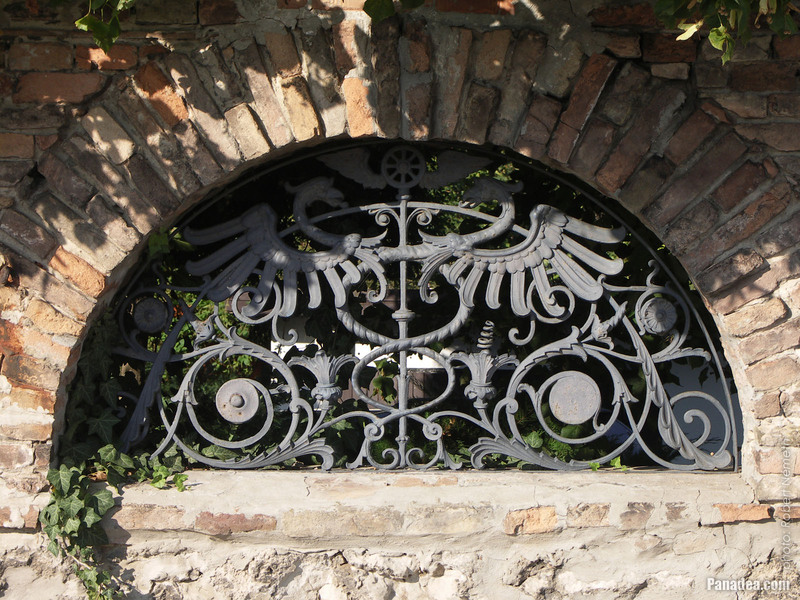 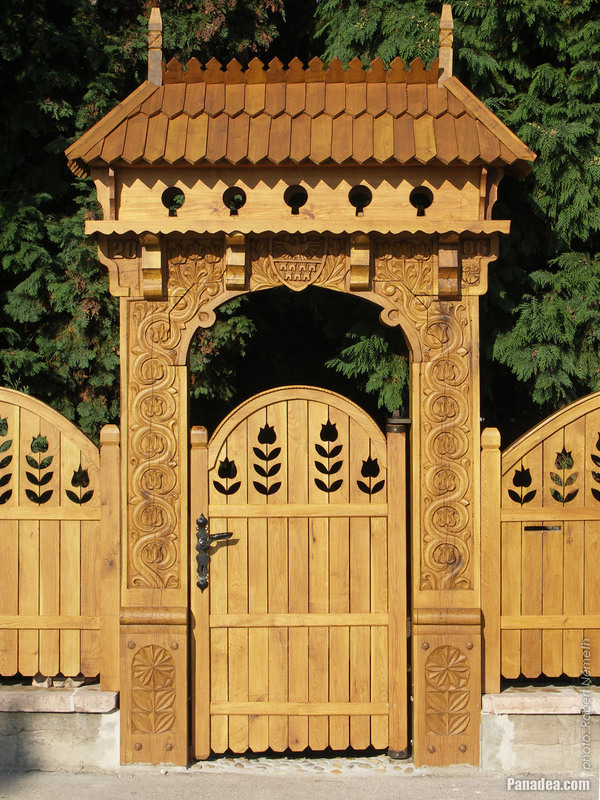 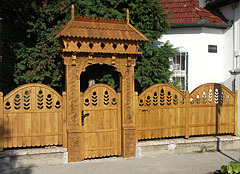 According to an inscription on the gate it was created by Hungarian wood carver folk artist Ernő Cs. Kiss from Tata in 2005. It was built in the late 18th century by Jakab Fellner architect, now it is the creative house of the Hungarian National Monuments Office. 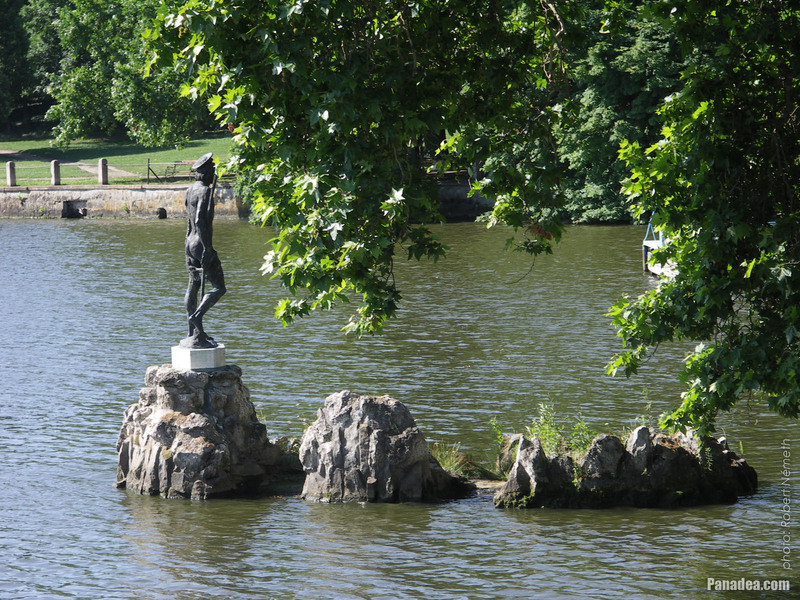 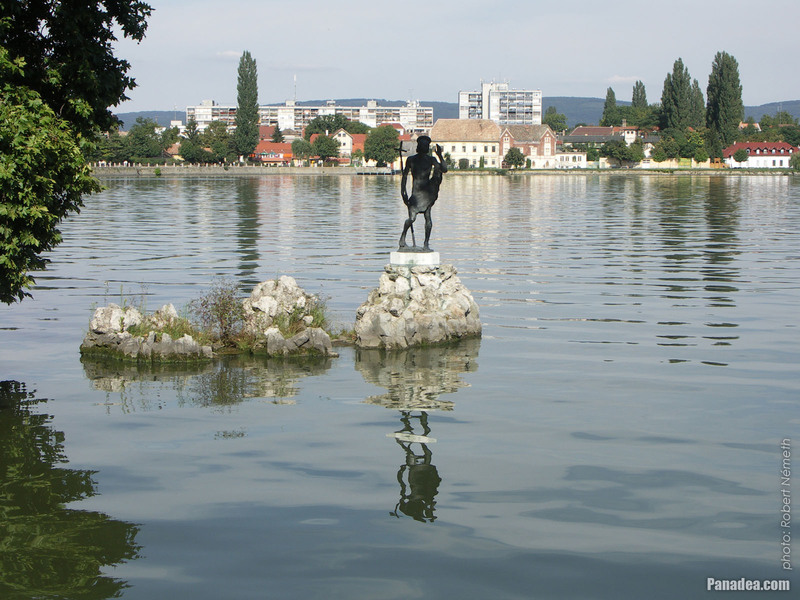 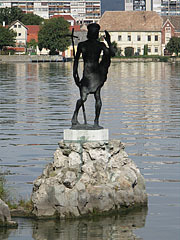 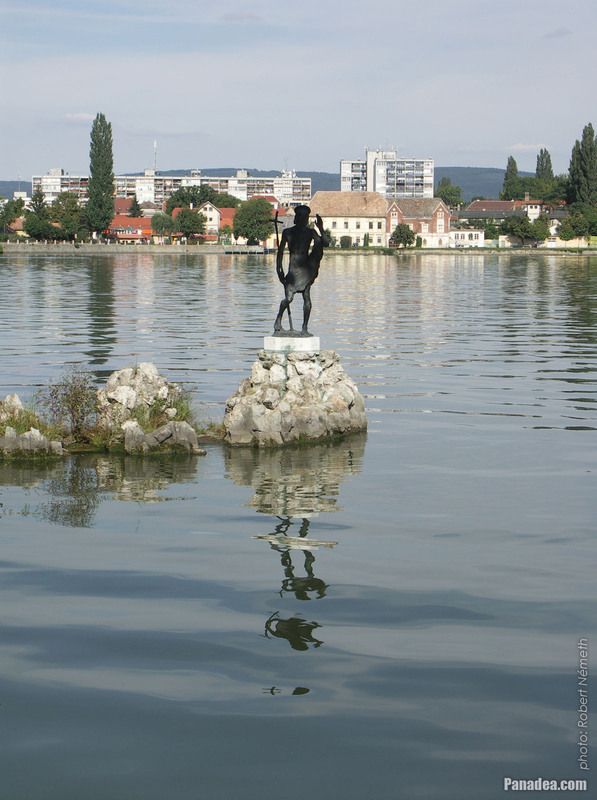 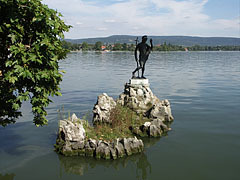 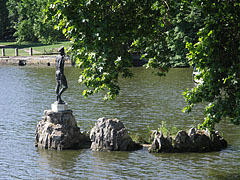 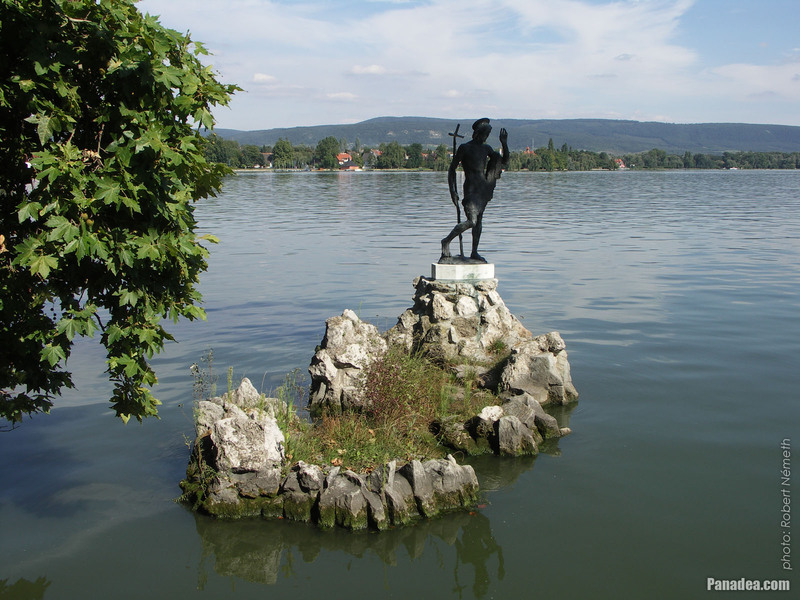 The statue is usually stands in the water, but sometimes in autumn and winter when the water level is lowered it can be accessed even on foot. 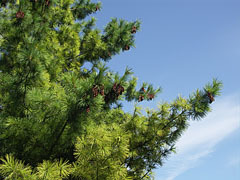 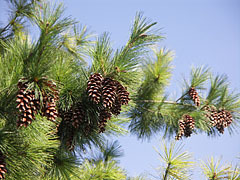 In autumn the lake is an important location of mass bird migrations. 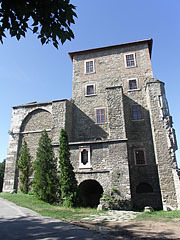 The structure in the central part of the Tata Castle is not a true keep or residental tower, but the modified southern wing of the original rectangular inner castle that had four corner towers. The castle was blown up by the Ottoman troops in 1683. 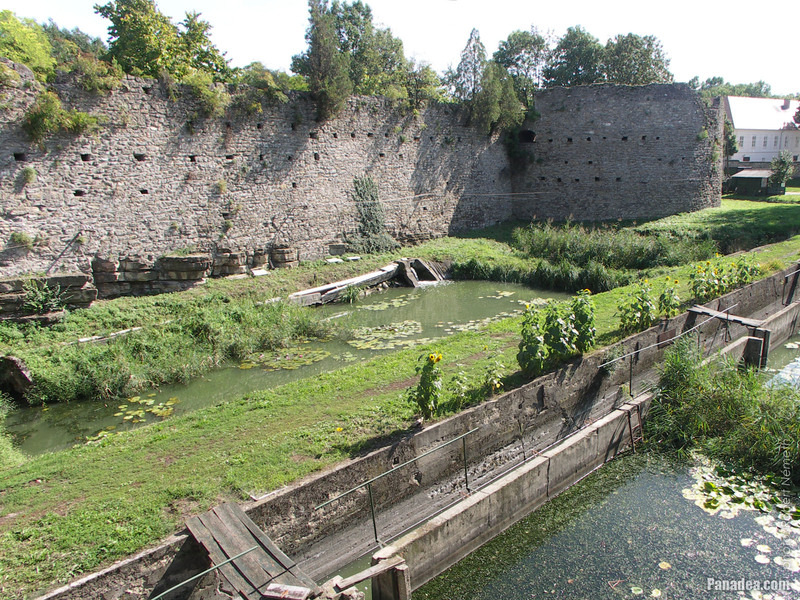 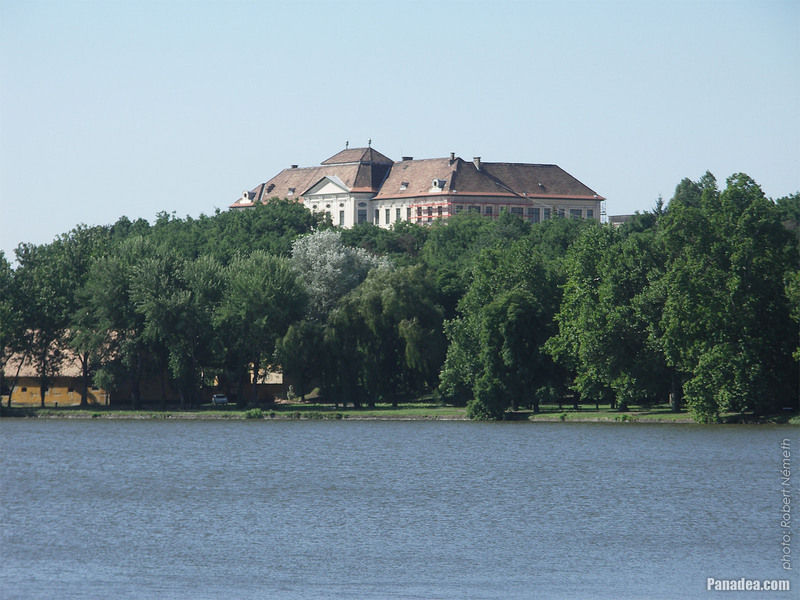 Leopold I, Holy Roman Emperor and King of Hungary ordered to completely destroy this castle together with many other Hungarian fortresses, but this further destruction was avoided thanks to the outbreaking Rákóczi's War of Independence in 1702-1703. 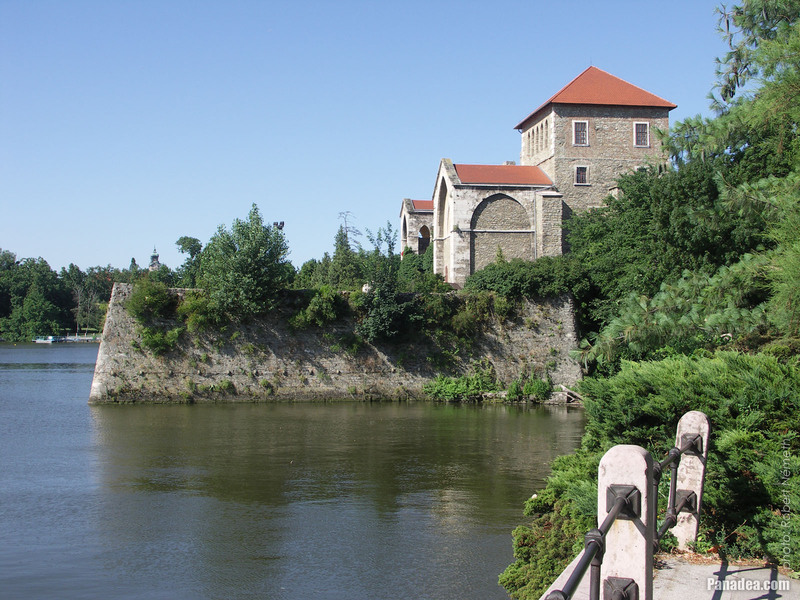 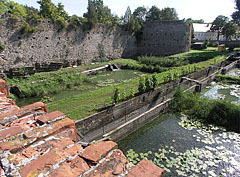 Then the castle was acquired by the Esterházy family who ordered to do major changes to the building in 1755, but mostly the surroundings of the northwestern wall was affected by these modifications (the new gate with a stone bridge over the ditch, the "prison chapel", etc.). 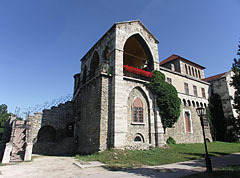 There was a fire in the castle in the early-19th century, then in 1815 the remaining parts of buildings were altered and extended in neo-gothic style (gothic revival or romantic style). 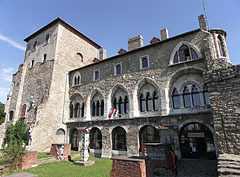 The most of the upper level of the current "tower" (the "Old tower") was built at that time, including for example the covered terrace, the small rounded closed balcony and the neo-gothic style windows as well. 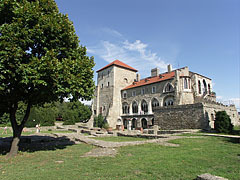 The remaining and rebuilt inner part of the Tata Castle received its current form at around the turn of the 1800s-1900s. 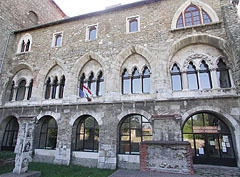 At this time the windows were modified to the current style that reminds to the Italian gothic, as well as there were also some other minor modifications inside the building (e.g. 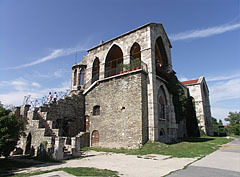 stairs, vaulted ceiling, etc.). 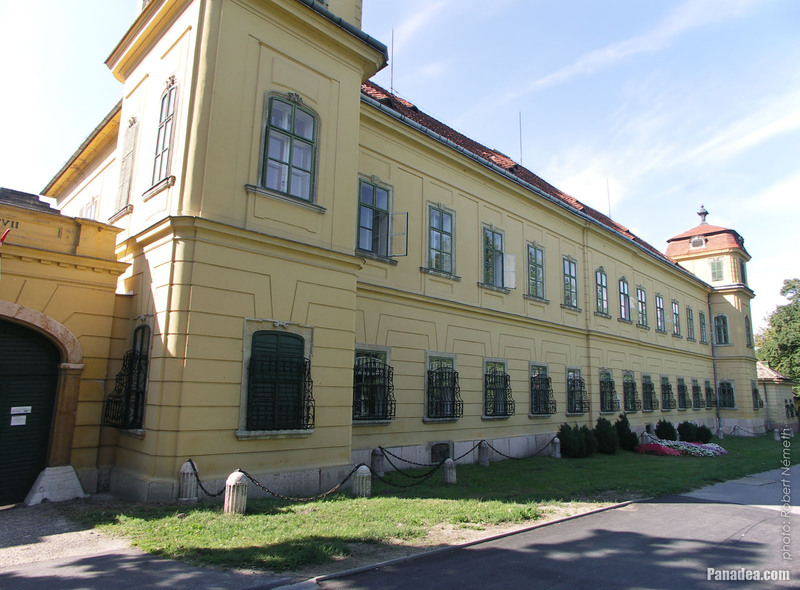 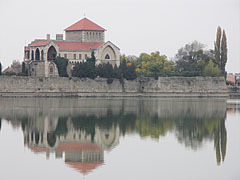 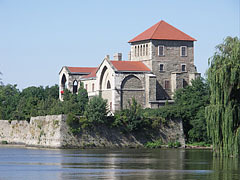 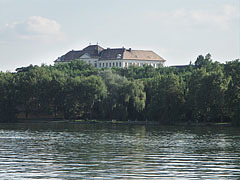 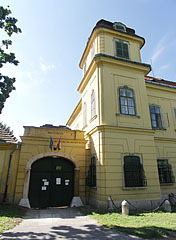 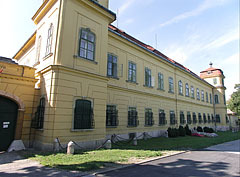 The castle remained in the possession of the Esterházy family until 1945, the end of the World War II. 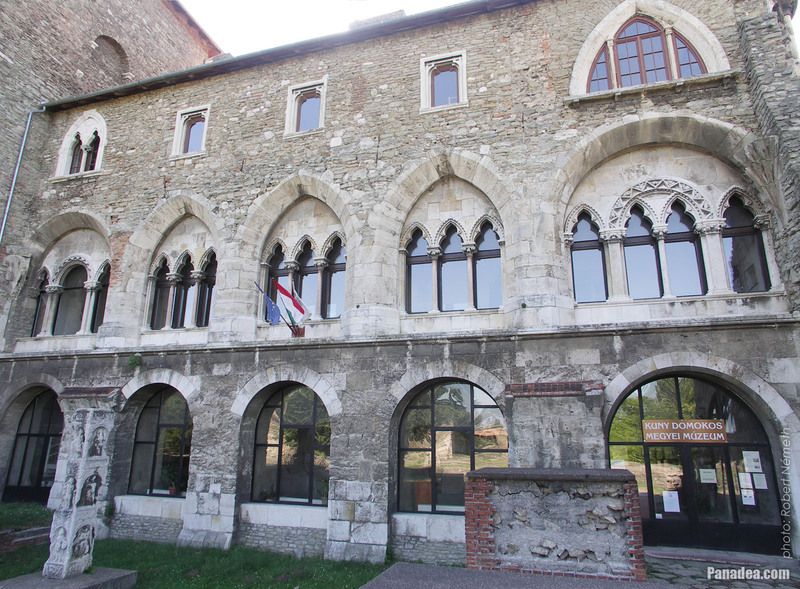 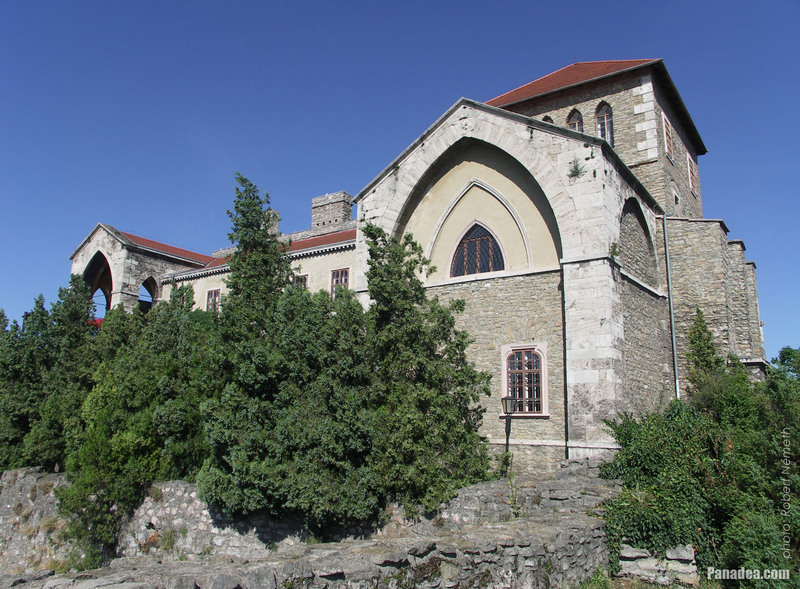 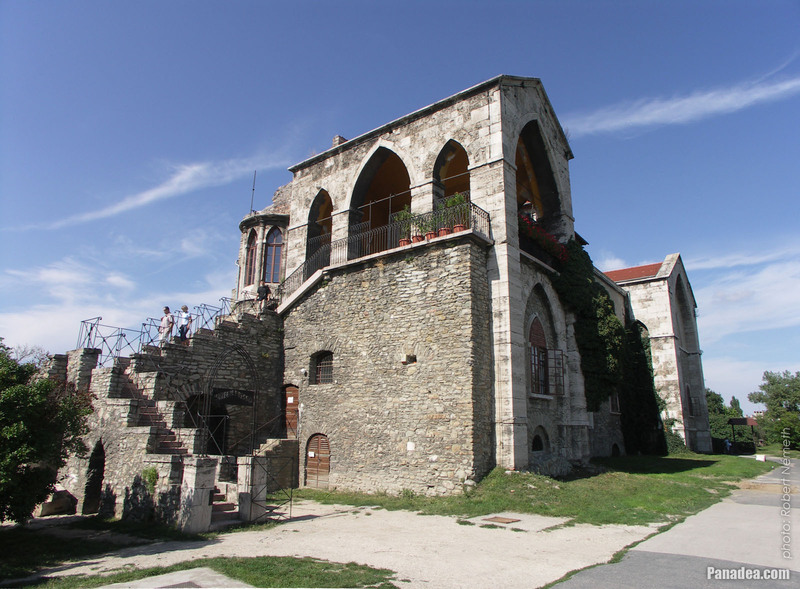 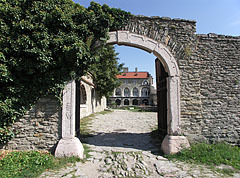 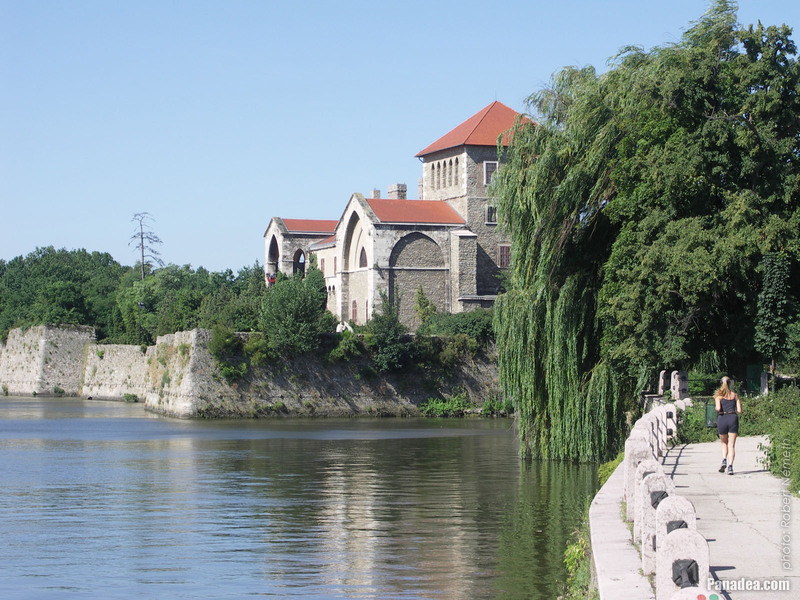 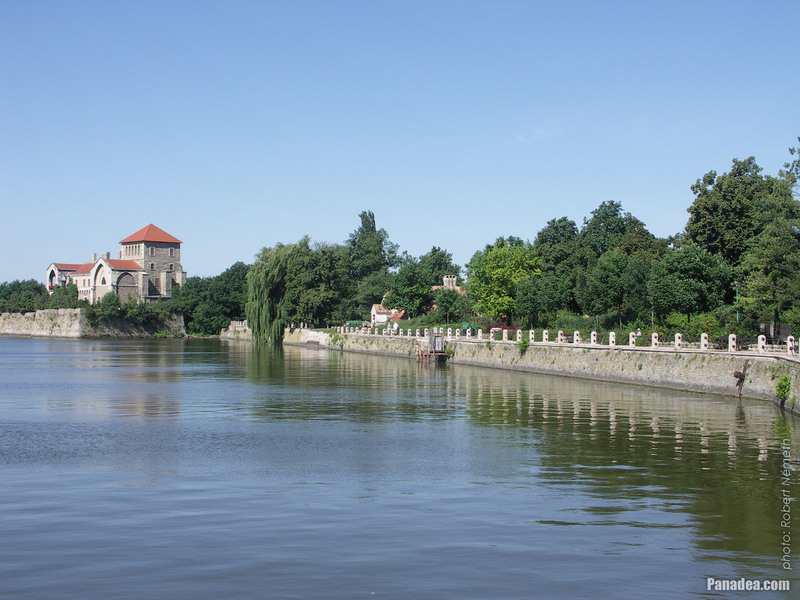 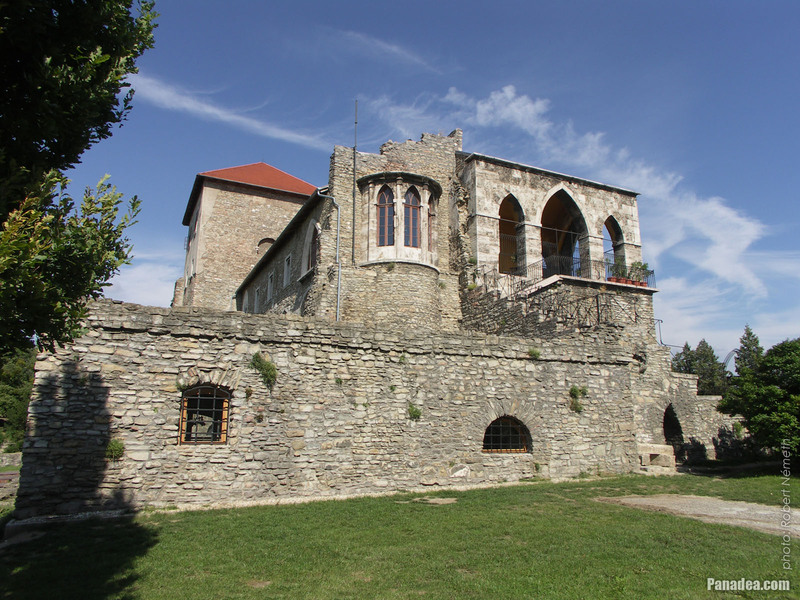 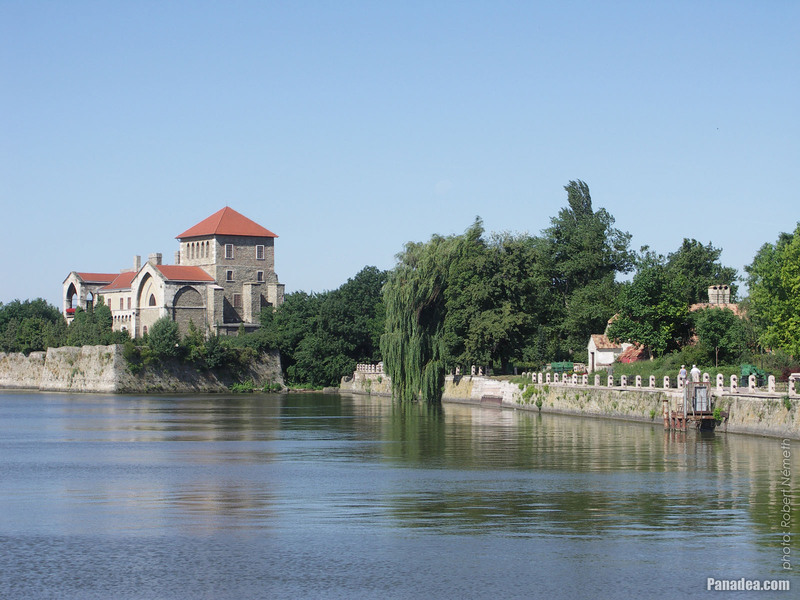 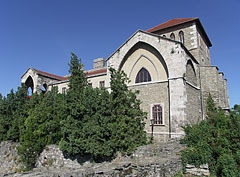 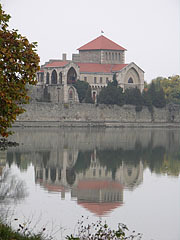 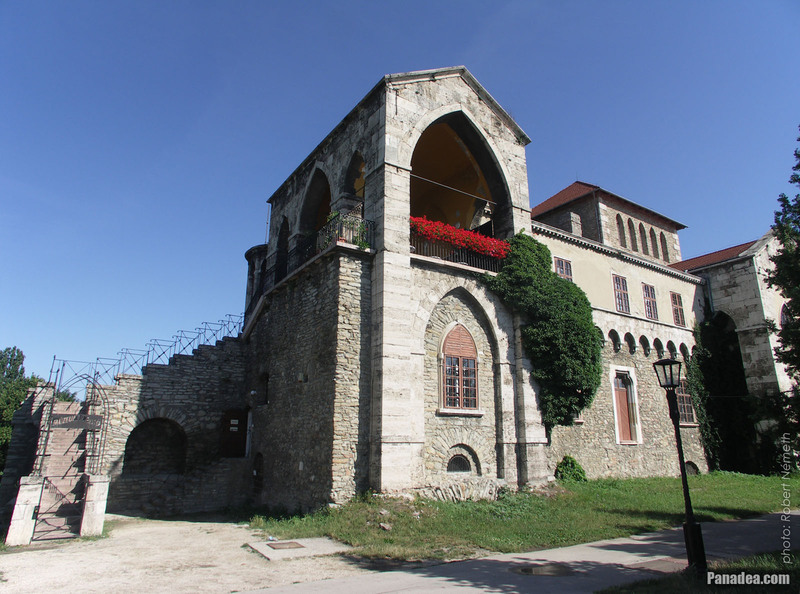 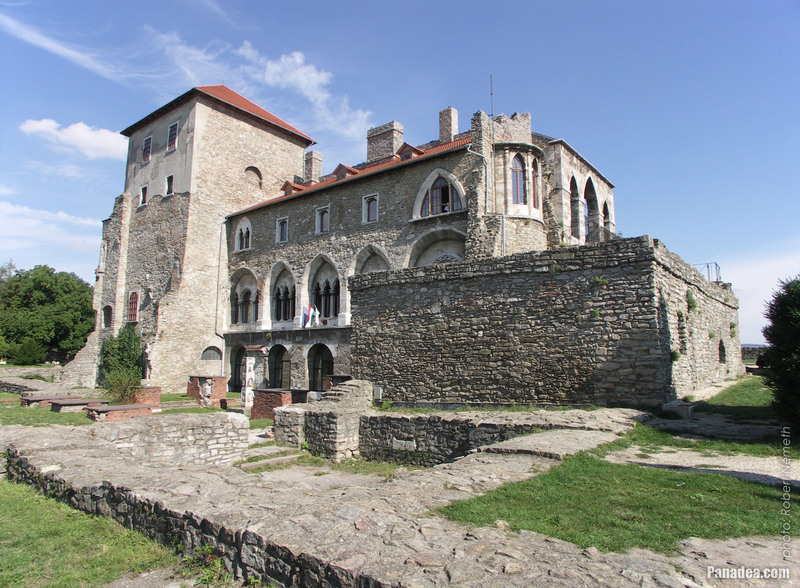 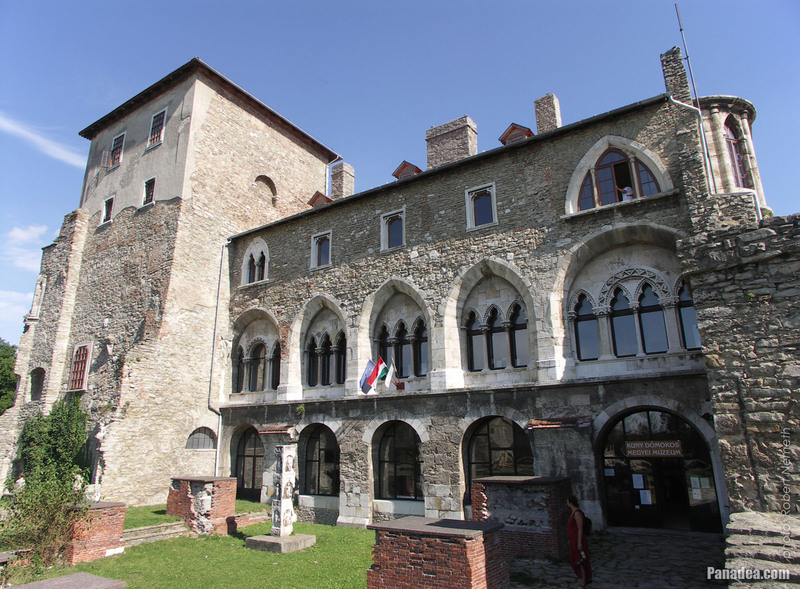 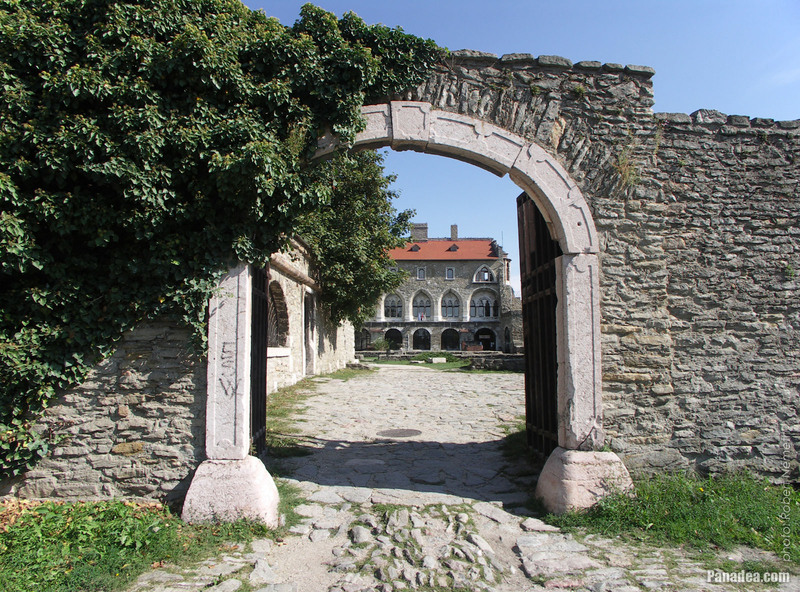 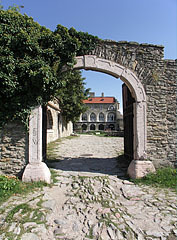 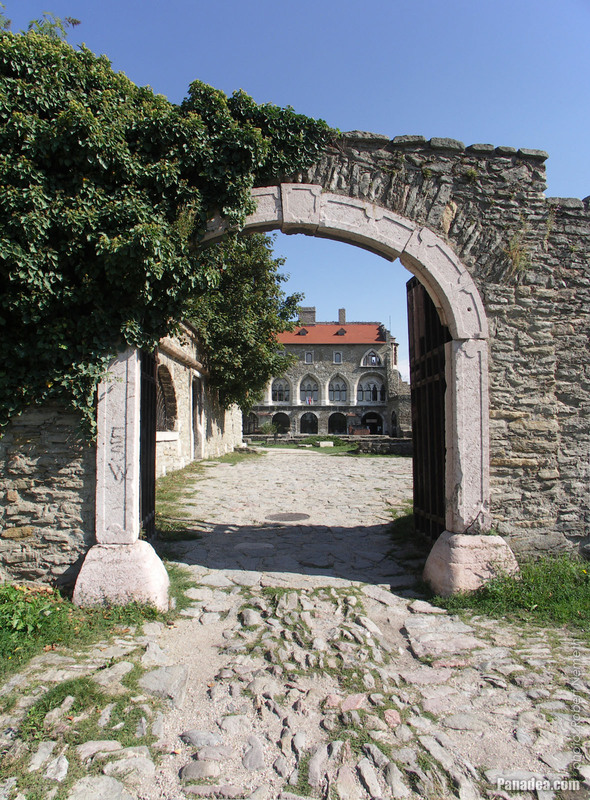 The Kuny Domokos Museum is operated in the castle since 1954, among others there is a historical and local history exhibition here, as well as a lapidary (stone collection) of the Roman Age and the Middle Ages. 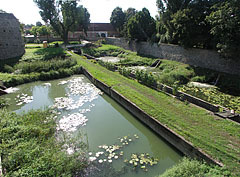 The major archaeological excavations of the castle were begun in 1964, and the monumental restoration works were finished in 1973 (however not fully completed, the exploration of some parts of the building, like for example the ditch, the casemates or the castle wells is yet to come). 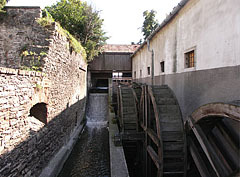 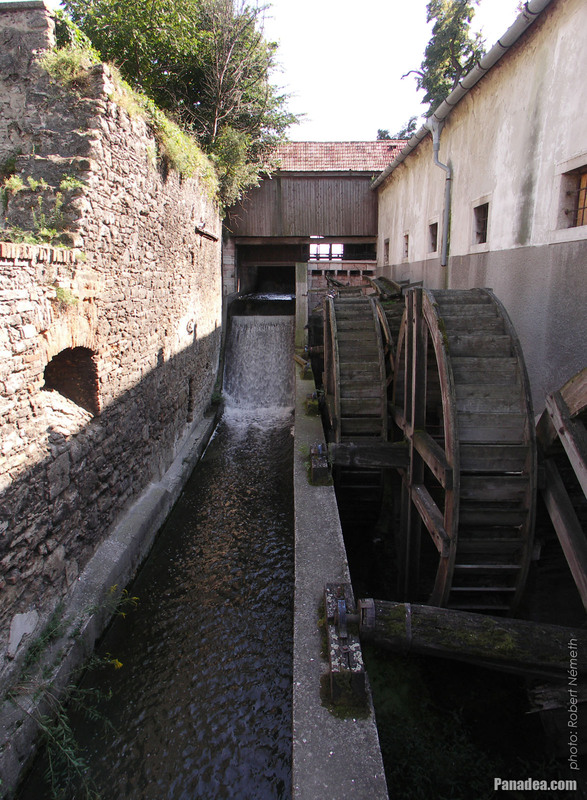 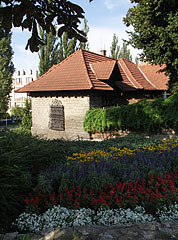 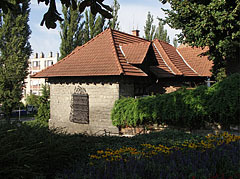 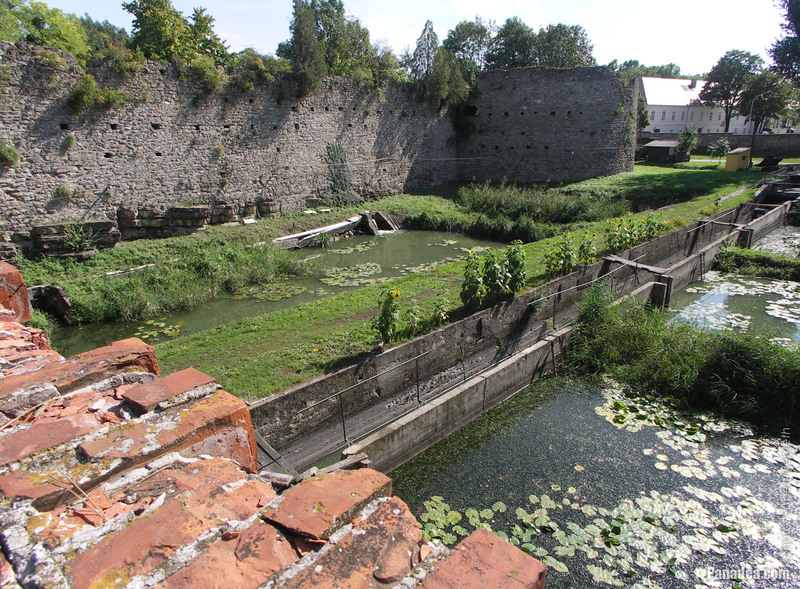 The oldest water mill of Tata town is situated at one of the northern sluices of the Old Lake ("Öreg-tó"), over the stream called "Által-ér". 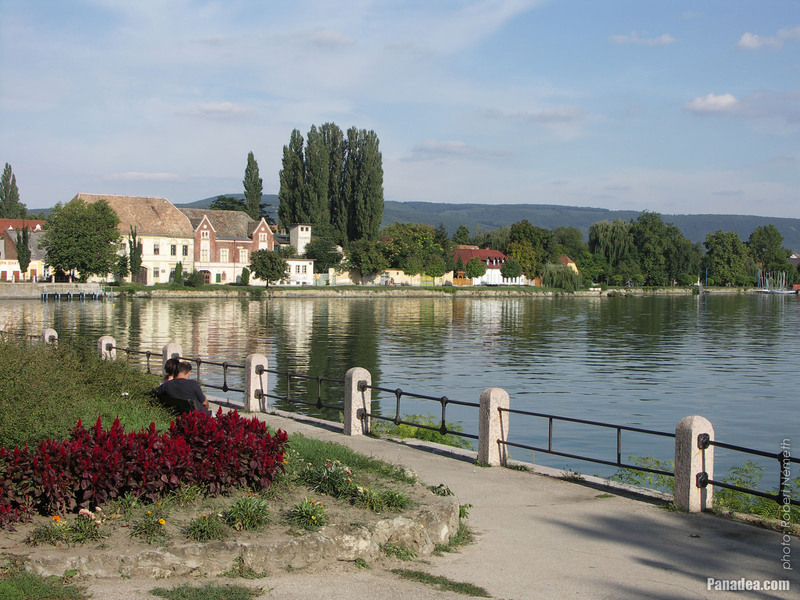 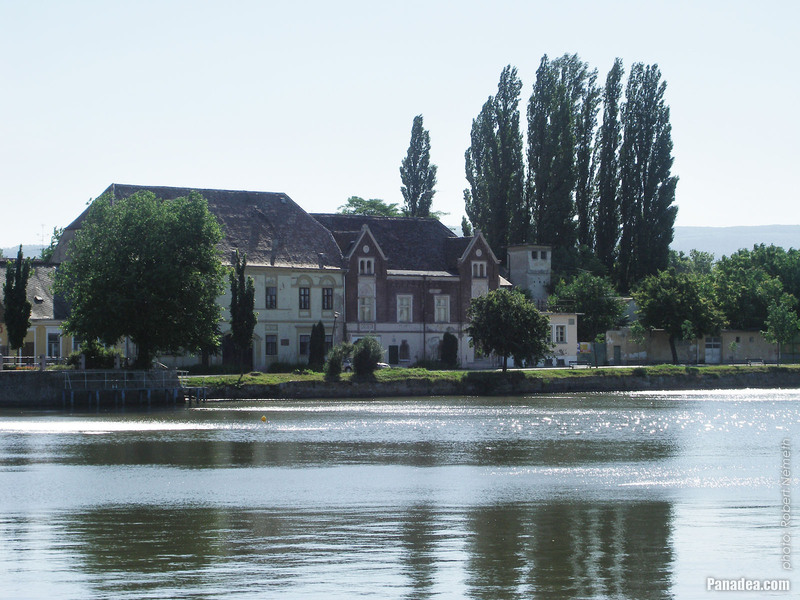 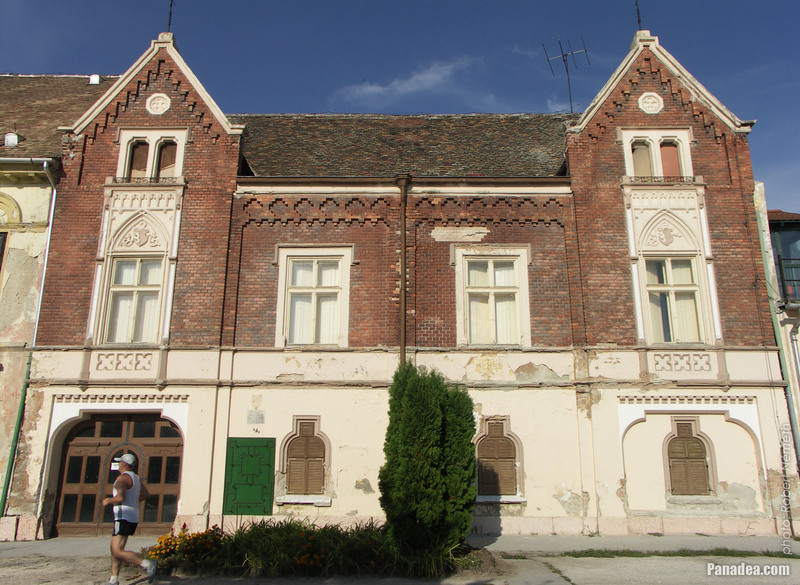 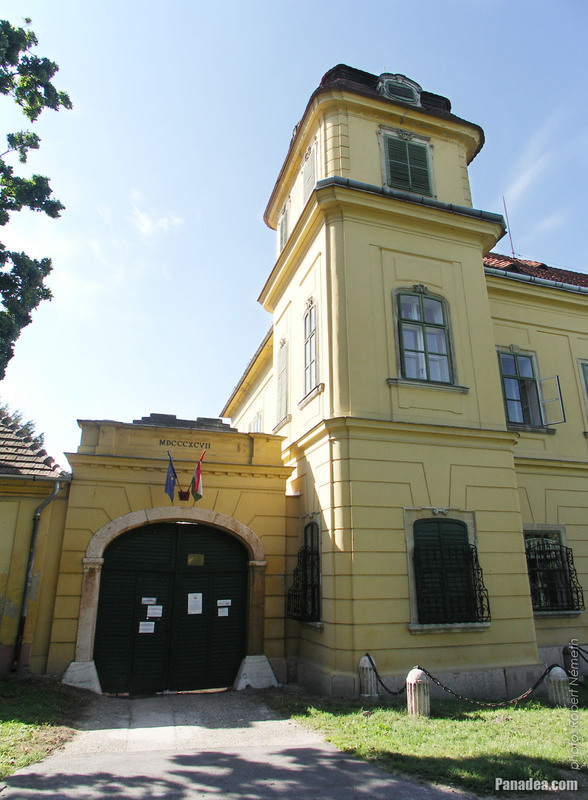 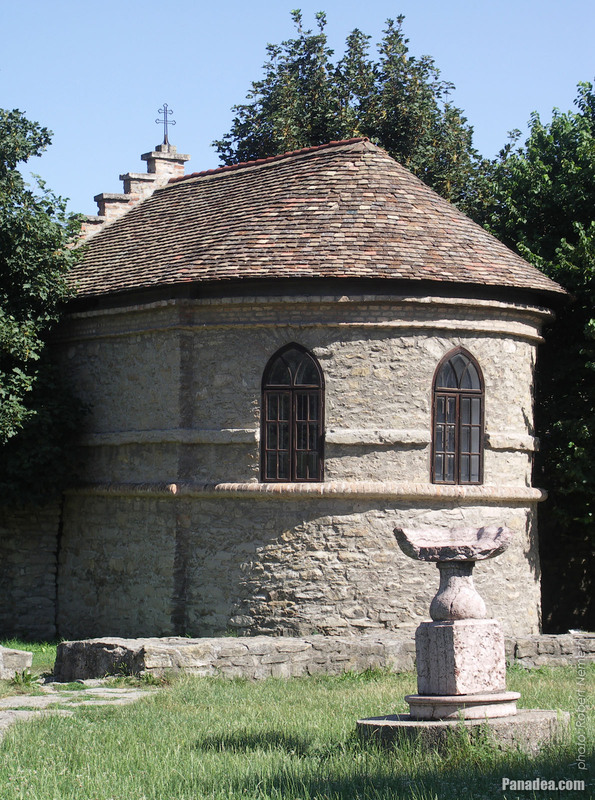 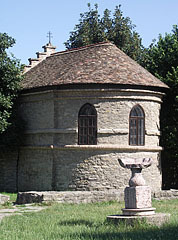 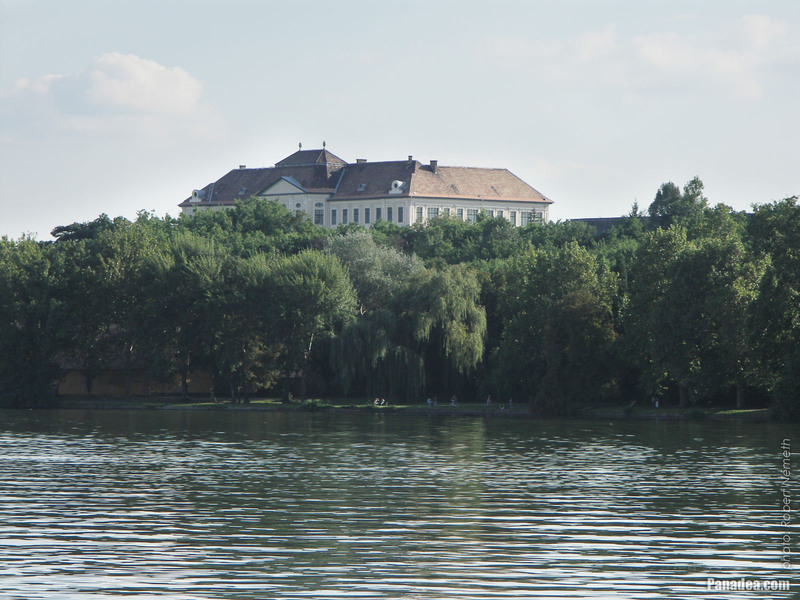 The first written record of the Cifra Mill is from 1587, then it survived the times of the Turkish occupation of Hungary (1541-1699) and in 1753 it was rebuilt in baroque style. 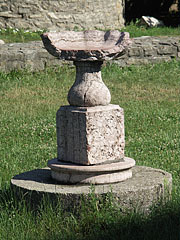 It was used normally for grinding until the end of the 1960s. Today (in 2014) the building stands empty and without function. 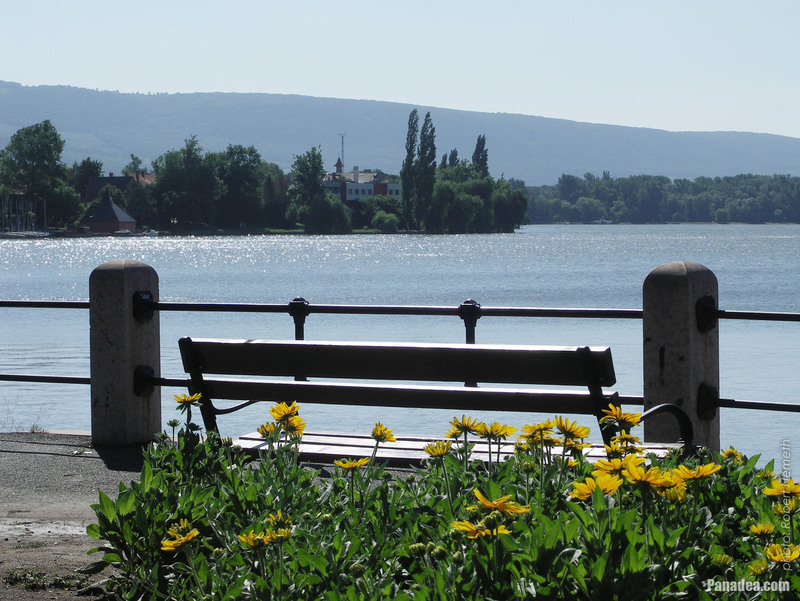 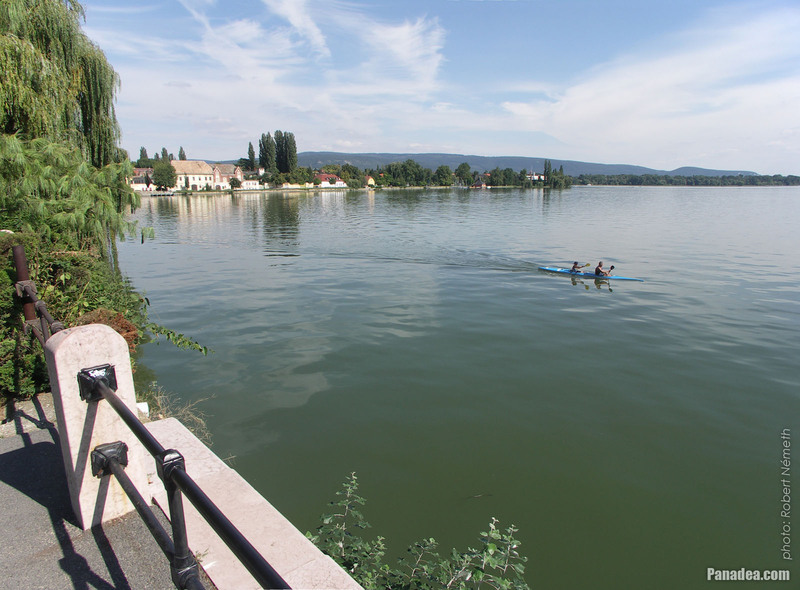 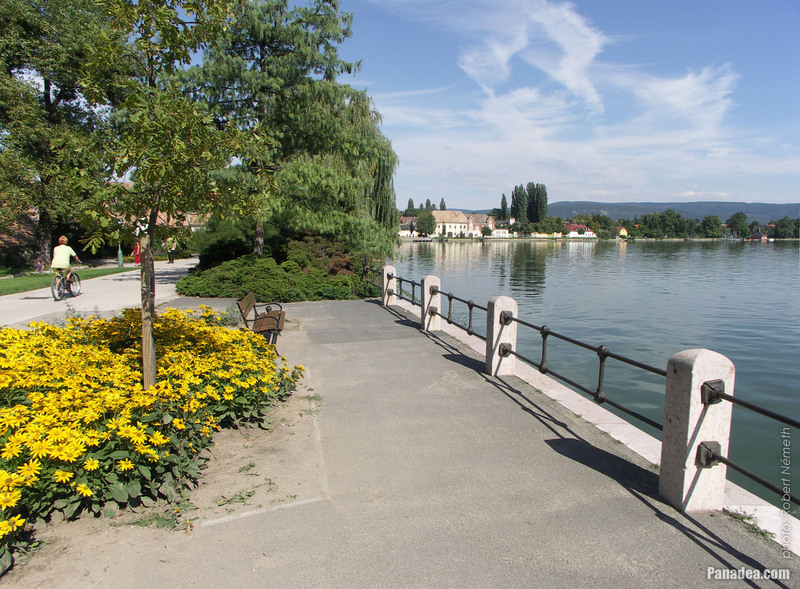 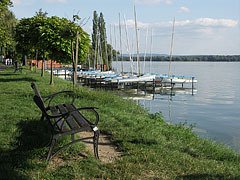 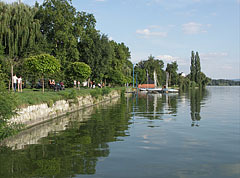 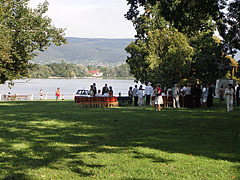 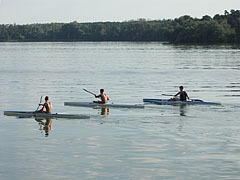 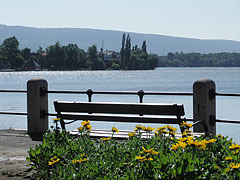 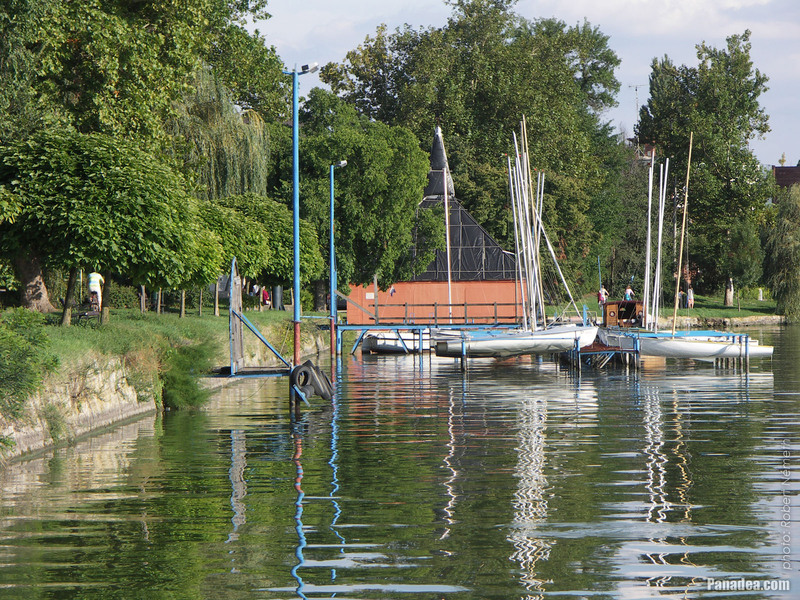 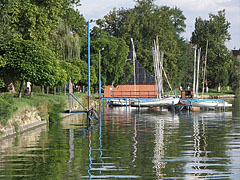 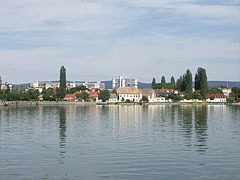 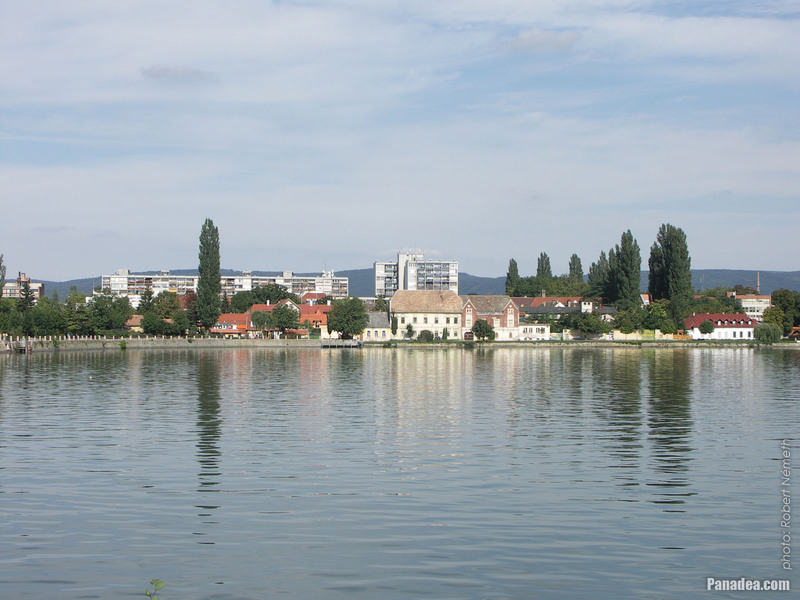 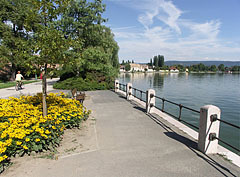 Until 1938 the border of the two separate villages, Tata and Tóváros (literally "Lake Town") was situated here at the Által-ér ("Által Stream"). 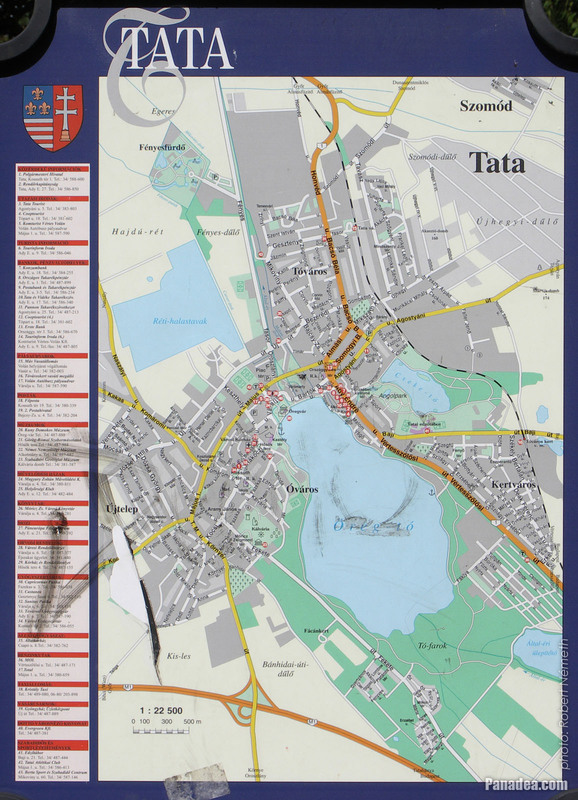 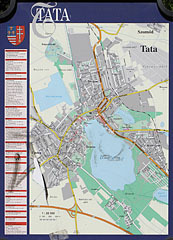 At that time these villages were united and the modern Tata settlement was formed, which then received the rank of town in 1954. 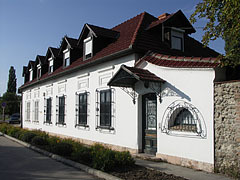 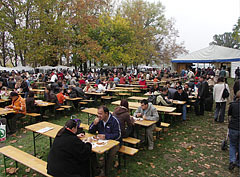 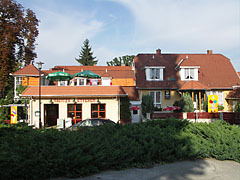 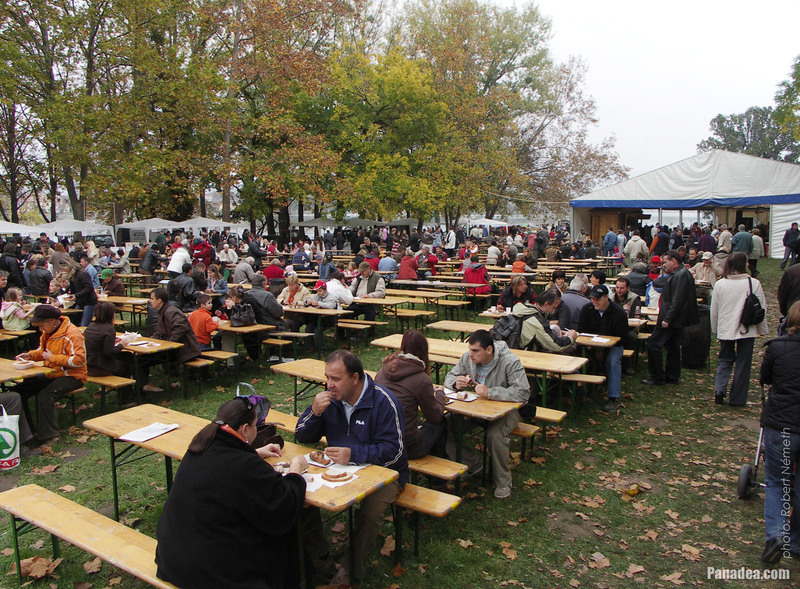 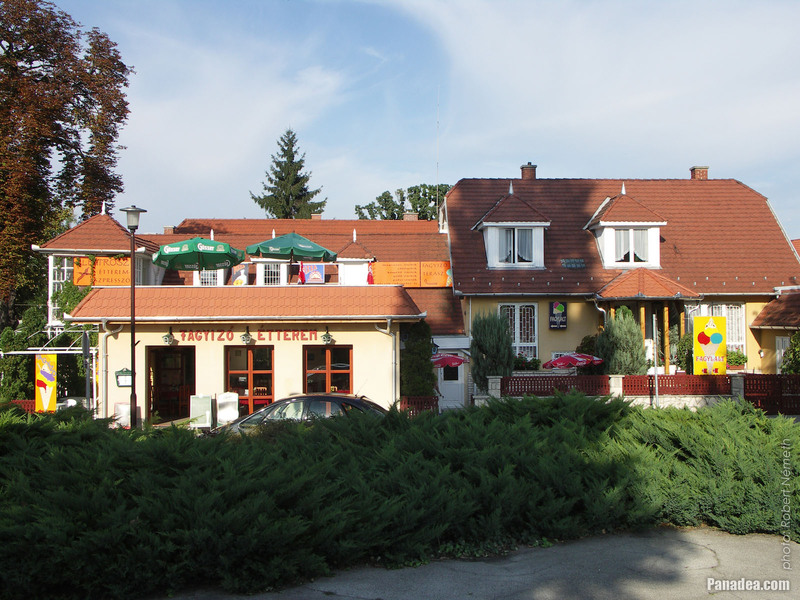 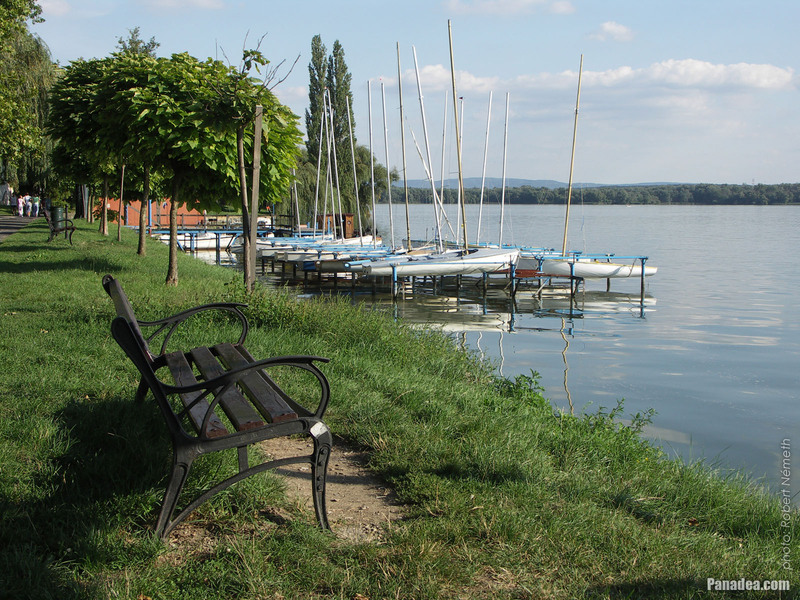 In 1985 Agostyán village was also annexed to Tata, and today the former villages live in the names of the quarters of the town.